Cali Cavy Collective: a blog about all things guinea pig: Guinea Pig Care & Health Tip: Weigh me weekly! Guinea Pig Care & Health Tip: Weigh me weekly! Hello, Truffle here! Today I will be talking about weight. 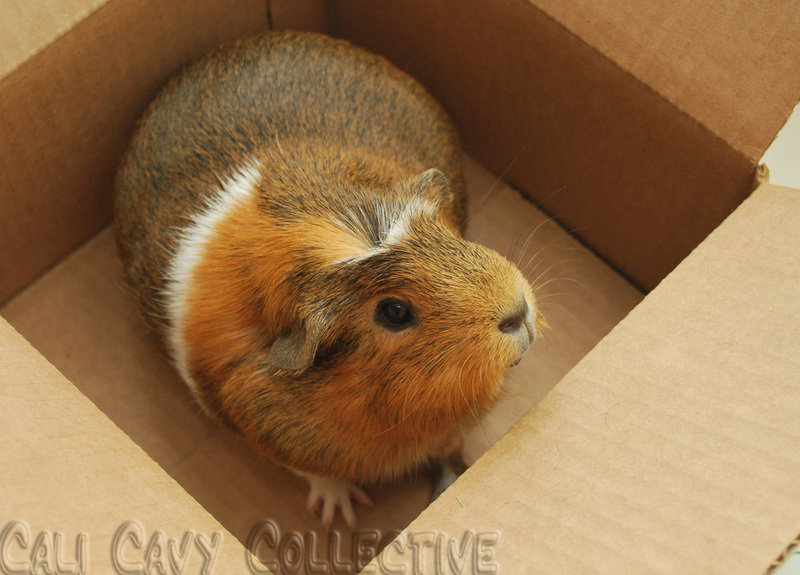 Many humans don't realize that a guinea pig's weight is a telling sign of his or her health. In many cases when whee become ill, weight loss and a decreased appetite are some of the first indicators. It is good practice to get in the habit of regularly weighing your piggies, recording their weights, and familiarizing yourself with their average weights and fluctuations. 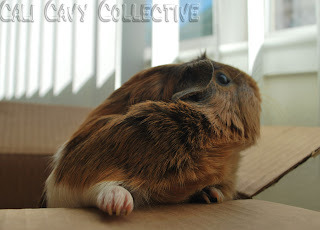 "Wheek! May I have a treat please?" 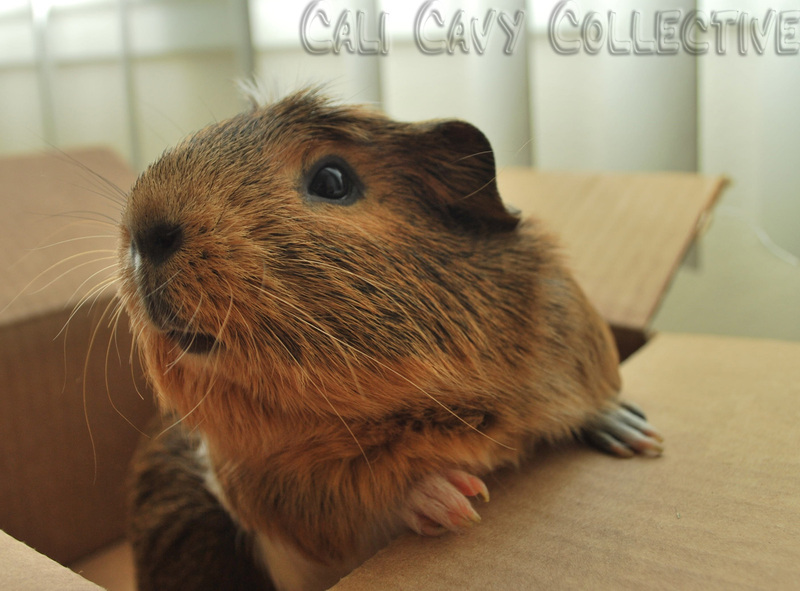 According to GuineaLynx you should weigh your cavies weekly and be alert for any dramatic changes. They recommend keeping a chart which will allow you to track gradual weight loss and if necessary, get medical help early, when many illnesses can be nipped in the bud. If your pig is already ill, GuineaLynx recommends daily weighing. This is because we piggies have been known to go off our food, due to the side effect of antibiotics disrupting our gastrointestinal tract, or because whee are not feeling well. 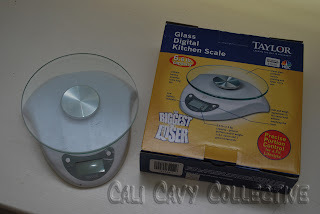 Human sized scales are too large to get an accurate reading for us little piggies, so kitchen scales for measuring food are ideal. Our humans are in the habit of weighing us twice a week. If we are sick, they weigh us twice a day before giving us our antibiotics to ensure whee are eating sufficiently (if not, we get hand fed and receive Critical Care with round-the-clock close supervision). Each of us gets picked up, plopped in a cardboard box, measured in both grams and pounds, recorded, then returned back to our home. For maximum accuracy, they make sure to zero the scale so the weight of the container doesn't get factored in. Whee all have our own individual health charts. They are currently working on compiling complete medical histories for each of us. We will have them post it up when they are done. Edit: links to 2011 and 2012 weight charts. To read more in depth, follow the links to these GuineaLynx articles on weighing and overall health tips.